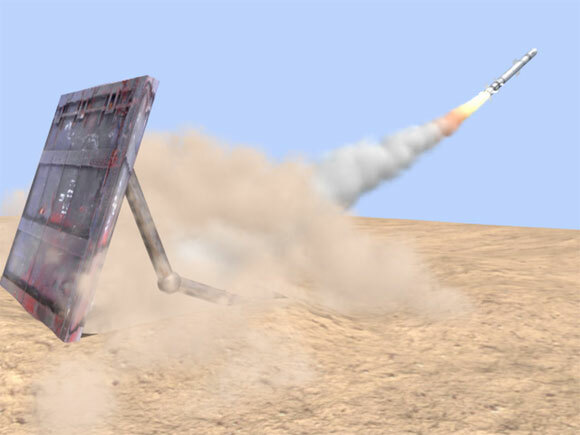 This Tutrial will Teach you how to create a Missile Trail using Maya, u will expirience The volumetric Cloud Shader, it's surface shading options, and other qualities of the volumetric cloud shader, I Think that thou I use maya 3.0 it's wont affect maya 2.x users. 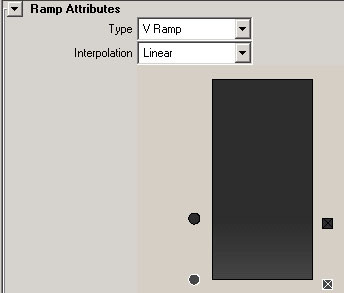 Start by creating a Emitter, Select Particle > Create Emitter. Change the Emitter's rate to 250, Speed to 15, Emitter Type to Directional,Spread to 0.15, Speed random to 4. -This will give the Emitter a Missile Trail movement, but more is to be done. Next Create a directional light with intensity of 0.63 so the shaders that you about to make will be iluminated properly as in my scene, when you adding any other aditional light, disconnect him using relationship editors> light linking> object centric... select particle1, and ctrl click on the new light you added, this will prevent from the particles to render in inproper way. Next Playback the animation, and stop after a few frames, Then right click on the particles > Particle... On the Attributes Editor Change the following: Lifespan Attributes: change the Lifespan Mode to Constant, and the lifespan to 2. Add Dynamic Attributes: Color > Add Per Particle Attribute, Opacity also Add Per Particle Attribute General> Particle Tab> incandescencePP, then finally on General> Particle Tab> radiusPP. 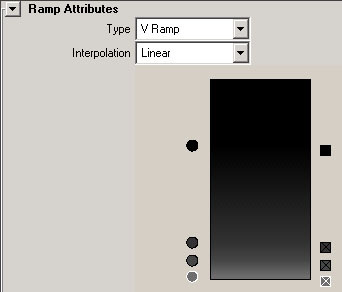 Per Particle (Array) Attributes: Right Click on the radiusPP> Creation Expression... use This line: particleShape1.radiusPP=1.4 and press Create. Right Click on the radiusPP> Runtime Expression... use This line: particleShape1.radiusPP = particleShape1.radiusPP +0.1 and press Create. -Those Two Things with the radius was done so at the end of the trail the particle radius will be bigger to support the Spread option that we set to the emitter. 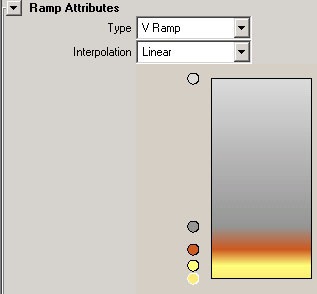 in the higher color of this ramp use 3d cloud texture, and change color1 to H=42.45, S=0, V=0.364, color2 to white, Depth to 8.000,8.000 , Ripples to 2,2,2, Edge Thresh to 1.2, Center Thresh to -0.8, and Trans Range to 0.826. You are now ready to add lights, animate, I recommend with paths, and render.